Asset management stocks don’t usually get the same exposure as the top financial stocks but they are worth a look and consideration for your portfolio. My portfolio strategy is to have just around 20% exposure to the financial sector and I am trying to spread it across the banking industry, the credit card stocks and the asset management industry. Across the 3 industries, there should be be enough coverage to maintain a balanced portfolio and mitigate any negative impact to one of the industries. Before you read on the business of each asset management dividend stocks, here is how they have performed over the past 5 years. Below is a list of US stocks worth reviewing for your portfolio listed in no particular order. 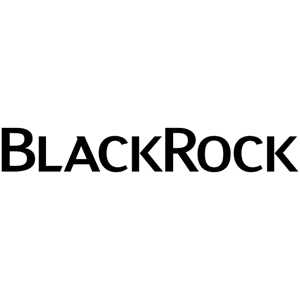 BlackRock is a financial planning and investment management company, providing a broad range of investment, risk manage, ent and technology services to institutional and retail clients worldwide. Starting out in 1988 with a group of just eight people, today BlackRock has grown exponentially to 14,000 employees in 70 offices spread over 30 countries. The company serves clients in over 100 countries in the Americas, EMEA and APAC regions. By geography, 62% of the company’s assets are in the US, 29% in EMEA and 9% in Asia Pacific regions. BlackRock offers a comprehensive range of products and services across asset classes, geographies and investment strategies. It offers single-asset and multi-asset class portfolio investing in equities, fixed income, alternatives and money market instruments. The company owns the industry’s broadest platform across alpha-seeking, index and cash management strategies. The company’s assets under management have grown from less than $1 billion in 1988 to more than $6 trillion today, and have registered a growth of 11% CAGR over the last five years. BlackRock owns a large global sales and marketing network. The firm is focusing on high growth areas like retirement, illiquid alternatives, Asia, iShares etc. It is favourably placed to leverage its scale and technology to deliver value for its clients. This is evident from its tech and risk management revenue growing at a 12% CAGR over the last five years. BlackRock should benefit from a growing population of retirees as two-thirds of its AUM are related to retirement products. The firm should also benefit from a growing footprint in Asia Pacific as the APAC region is poised to grow at a faster rate than other regions. Strong investment performance, focus on client relationships, breadth of investment strategies, and a global footprint are BlackRock’s key competitive advantages. Its unique investment strategies and strong technology capabilities are other key differentiators. BlackRock’s increased investment in artificial intelligence and other advanced technology should help the company maintain an edge over its competitors. BlackRock’s last dividend increase was 15%. Its payout ratio is near 40% which is about reasonable. The company has maintained a double-digit CAGR dividend growth rate over the past decade, and its scale, platform breadth and technology should help it keep growing its payouts comfortably in the high single-digit range in future. Ameriprise Financial is a leading global financial institution with nearly $900 billion in assets under management. It is a diversified financial services company offering a broad range of financial products and services to its clients worldwide. Ameriprise Financial, Columbia Threadneedle Investments and RiverSource are its leading brands. Equity is the largest asset class managed by Ameriprise and constitutes more than 50% of the assets under management, followed by fixed income, money market, alternative, hybrid and others. By client type, retail clients are the biggest segment accounting for nearly 60% of the AUM. Ameriprise Financial has a large global footprint with offices located throughout US and across the globe, including New York, Boston, London and India. The US is the principal market generating over 90% of Ameriprise revenues. It has more than 2 million individual, business and institutional clients. A significant portion of Ameriprise Financial’s revenues comes through recurring fees adding visibility to the cash flows. The company provides wealth management services to the affluent market segment with $500,000 to $5,000,000 in investable assets. In addition, the company also offers a wide range of investment advice and products to individual, institutional and high-net-worth investors. With more than 120 years of existence, the company has weathered not only the Great Depression of 1929 but also the recent Great Recession of 2008 successfully. The credit goes to its experienced and long-tenured team. Ameriprise Financial is one of the largest asset managers in the United States with a strong brand recall. Ameriprise is recognized in the investment industry for its excellent customer service and high-quality investment performance. It is amongst the top most trusted brands in the investment industry. Increased demand for financial advice and solutions should aid Ameriprise Financial to continue growing its top line. The company is well known for its personal advice and tailored investment solutions. In addition, the amount of investable assets held by mass affluent households is also growing in the US and is expected to nearly double over the next 15 years, representing a major growth opportunity. There also exists a solid growth in demand for asset management globally with a 5% CAGR growth predicted till 2020. Increasing client assets and effective expense management has helped the company to deliver great operating results over the years. A differentiated financial planning model, extensive wealth management and asset management capabilities, and demonstrated financial strength are Ameriprise Financial’s key competitive strengths. Diversification across geographies, products and clients further adds to its competitive moat. In addition, federal, state and foreign laws and regulations act as entry barriers. Ameriprise Financial last raised its dividend by more than 8% making it the eleventh consecutive increase. The company has a dividend yield of 2.6% and has grown its payout at a very respectable 19% CAGR over the last decade. The payout ratio is near 30% which is very reasonable and indicates enough room for future expansion. Ameriprise also has a share repurchase plan in place. 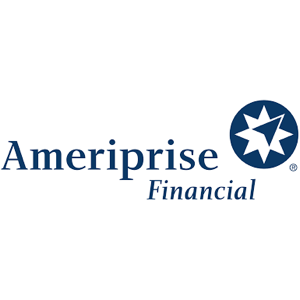 Given its numerous competitive advantages, significant growth opportunities and favorable tax and regulatory regime in the US, Ameriprise Financial should continue its dividend growth in the single-digit range going forward. shareholder servicing and other services. Franklin Resources derives a majority of its revenue from investment management and distribution fees. Its broad mix constitutes of equity (42% of 2017 AUM), multi-asset/balanced (19%), fixed income (38%) and cash management (1%) solutions. The company is globally known for its broad suite of mutual funds and ETFs. Franklin Resources is well diversified by both client type and geography. As the world’s top cross-border fund management group, Franklin Resources has a large global presence with offices in more than 30 countries. The US is the largest region by sales, accounting for 65% of total assets under management, followed by EMEA, APAC, Canada and Latin America. Franklin’s clientele includes retail, institutional and high net-worth clients in more than 170 countries. Franklin Resources is a trusted asset management partner and is known for its high-quality customer service, long-term investment performance, and disciplined approach. 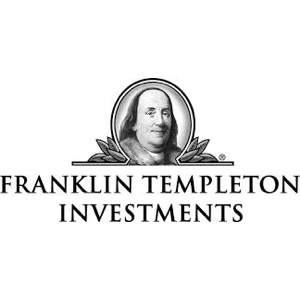 Franklin, Templeton, Franklin Mutual Series, Franklin Bissett, Fiduciary Trust, Darby, Balanced Equity Management, K2 and LibertyShares are some of its popular brands. A team of focused investment experts having proficiency across different asset classes is one of Franklin’s major competitive advantages. The company has built an integrated and extensive team of risk management professionals, a global trading desk network and a strong distribution franchise across the globe. With a long history of 70 years in investment management business, Franklin Resources has demonstrated its ability to navigate the ups and downs of the global markets and gained the trust of its investors. The firm has developed deep relationships with financial advisors and clients worldwide. Franklin Resources increased its dividend by 15% year on year and also paid a special dividend this year. This marks the 37th consecutive annual increase. Its dividend growth has been exceptional with a 19% CAGR over the last five years. The company also has a share repurchase program and a low payout ratio of ~27% indicating sufficient room for further growth. The company is well positioned to benefit from a rising rate scenario and a growing aging population in the US with an increasing demand for investment needs. Given its strong balance sheet and solid reputation, Franklin should continue its dividend growth streak over the coming years. T. Rowe Price Group is a global investment management company with more than $1 trillion assets under management. It sells a wide range of financial products and services like mutual funds, investment products, sub-advisory, separate account management, recordkeeping, and related services. 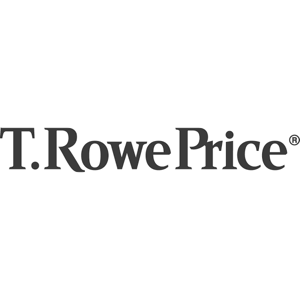 T. Rowe Price has a presence in North America, EMEA, and Asia Pacific serving clients in 47 countries around the world. Approximately 6% of total assets under management at the end of 2017 were from investors outside the U.S. Investment advisory fees accounts for the majority of revenue, which are calculated as a percentage of assets under management. Nearly 49% of its 2017 AUM was US equity followed by multi-asset (29%), US fixed income (12%), international equity (8%) and international fixed income (2%). T. Rowe has a well-diversified client base consisting of individuals, financial advisors, institutions, financial intermediaries, and retirement plan sponsors. T. Rowe Price is a low-cost leader with its average fees being lower than peers. It enjoys a strong reputation in the financial services industry. With more than 80 years as an active asset manager, T. Rowe Price is recognized for its high quality and research-driven investment capabilities. Its ability to offer a superior range of investment strategies across multiple asset classes helps it better serve clients globally. The firm has gained a deep understanding of its clients’ needs given its rich experience. More than 80% of its mutual funds have outperformed the Lipper average over the last decade. Its institutional investment offering has also exhibited strong investment performance over the years. All these factors have led to sticky customer relationships and strong client retention. T. Rowe’s retirement offering is particularly sticky in nature as clients in this segment typically look for stable as well as trustworthy partners. A strong balance sheet, an experienced leadership, a talented global workforce, reputed brand name, and strong client focus are the company’s biggest strengths. Moreover, T. Rowe is expanding its global reach and is growing its cash flows successfully across fixed income, international equity, and multi-asset segments. T. Rowe Price has raised its dividend for 32 consecutive years since its IPO in 1986, making it a Dividend Aristocrat. The latest dividend payout represents a 23% increase over the previous year. The company also has a share repurchase program and recently approved a 10 million share increase in the company’s share repurchase plan. T. Rowe has a payout ratio of around 40% and an impressive dividend CAGR of 11% over the last five years. The firm has steadily grown its assets under management over the years and looks in a good position to keep growing its earnings in the high single-digit range. Investors can, therefore, expect a mid-to-high single digit dividend growth rate over the coming years. On the Canadian front, there are 4 dividend stocks to be considered and don’t be mistaken by the name of Brookfield Asset Management TSE:BAM.A as it is a real estate company.